and I am a dog-a-holic! Dogs have been a major part of my life since I can remember. We always had English Cocker Spaniels when I was young. When I grew up, got married and moved out, my home was empty without a dog. My husband and I soon adopted a Pomeranian who we called Randy, and an American Eskimo Spitz who we named Nikki. After they were gone, including my husband ;-), I adopted another American Eskimo that had been abused in his first home and feared by people in his second home. At 7 months of age, he came to live with me. There were many challenges; namely, his fear aggression. He would attack anything, including me. My perseverance prevailed and I decided he needed a companion. That’s when I adopted Cindy, a lab/chow mix. They became the best of friends. She even taught him how to have fun! Both of them died in 2005/2006. The “silence” was too much for me to bear, so once again I headed out to find another dog. After visiting 2 shelters, I found Tyler, a Belgian Shepherd who was picked up as a stray. He’d been there for 3 weeks, yet he was already trained in the important things. I couldn’t fathom why the owners would not have retrieved him. I soon figured out the possible reason. He is extremely dominant and independent – a challenging mixture. It wasn’t long before he got over my fence. Walking on the leash was a nightmare because he desperately hates being controlled. Today, 3 years later, he still rejects the heel command, even though he knows it. We’re still working on his cooperation. A few months ago, I decided to use what I know and continue to learn about dogs to help others. 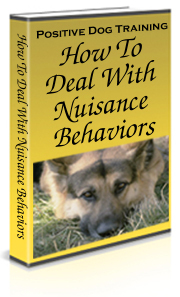 I’ve written several ebooks: Healthy Dog Nutrition Secrets and How to Overcome Dog Nuisance Behavior. I launched a Puppy Parenting Course for owners who just don’t know how to care for a dog. This course teaches you everything you could ever want to know about dogs, from breeds to dog care to dog training and more. Healthy Dog Nutrition Secrets – Discover how to choose a good nutritious dog food for your pet and avoid the dangers that have killed pets. Dog Talk Weekly – You can sign up to start receiving the weekly issues that provide tips, facts, trivia and fun stuff. It’s free! AND, if you become a member, you can share your stories and enter the dog photo contests every month. PLUS, you can vote on your favorite dog photo. 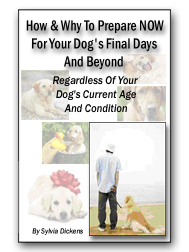 I hope you enjoy my products, the Dog Talk Weekly newsletter, and reading my Dog Talk Blog. Don’t be shy. I welcome your comments!